A journal can be so much more than just a collection of what happens to you. Customize and make it your own by what you include in your journal. The Nepali Traveler Vintage Leather Journal is a great fit for capturing the memories from your travels, but all adventures don’t happen in the out-of-doors. 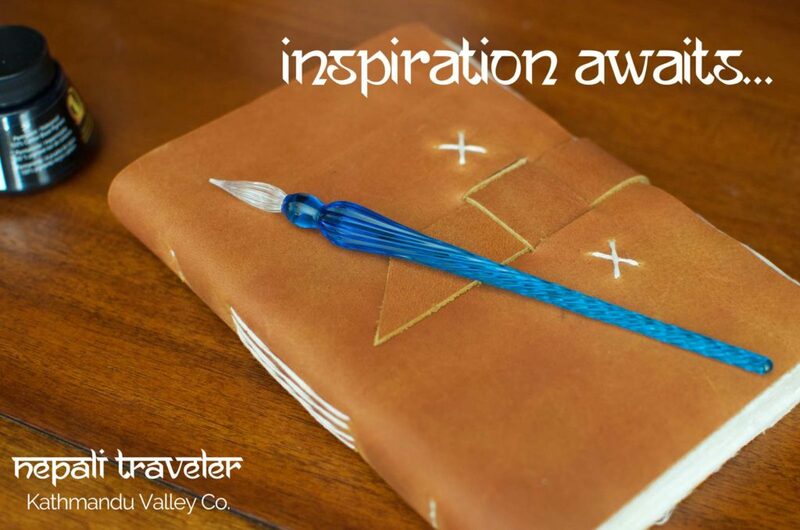 You may keep a journal of the travels of your imagination, creating a writing journal where thoughts flow in free-form, or after careful outlining. You may write about adventures on other planets, or travels to the past. Sometimes the travels you undertake are not some much based on the location but around the events. You could write about your travels in overcome fear and anxiety, or the experience of overcoming a physical challenge. It might be about the journey through your career path and the lessons you’ve learned. Perhaps your journal will be a record of prayers or meditation. What are the thoughts you have when you take the time to breath and relax? What are the yearnings of your soul? Your family doesn’t have to climb a mountain to have an adventure. Funny or endearing moments make a great addition to a journal that your family can look back on year after year. Alternatively, a journal for each child can be a great way to collect those unexpected moments of humor or humanity and makes a great gift when adulthood is reached, and they have children of their own. Of course your journal can be used to record your actual travels at home or abroad. Take a moment to sketch a beautiful scene, or just capture the memory in words.